It is estimated that over 90 percent of pets sold in pet stores and through online sales come from commercial, mass breeding operations known as mills, including puppy, kitten, bird and rabbit mills. 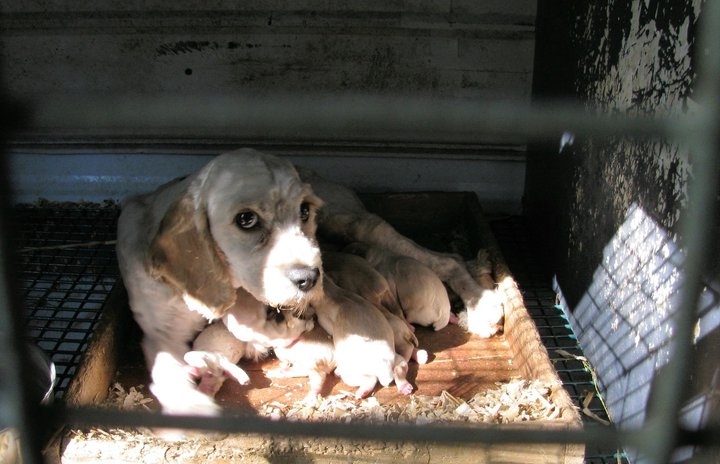 These commercial breeding operations are inherently exploitive not only of the animals trapped in inhumane breeding conditions, but also of the public that purchase over-priced pets, many of whom have diseases, genetic defects and behavior problems due to poor breeding practices, inadequate nutrition and lack of socialization and veterinary care. Breeders that sell their animals for resale through distributors of retail outlets are required by law to be licensed and inspected by the USDA. However, since USDA standards are so marginal, extraordinary mistreatment and negligence can, and most often does, exist within USDA-licensed commercial breeding operations. Wisconsin's Act 90 went into effective in 2011. It provides increased standards of care for dog sellers in Wisconsin. * Dog breeders selling at least 25 dogs a year, from more than 3 litters that they have bred. * Dog breeding facilities from which at least 25 dogs a year are sold, from more than 3 litters. * In-state dog dealers selling at least 25 dogs a year that they did not breed and raise. * Out-of-state dog dealers who import at least 25 dogs a year into Wisconsin, regardless of whether they bred and raised them. * Non-profit animal shelters and rescue groups sheltering/fostering at least 25 dogs a year. * Animal control facilities that contract with a city, village, town or county. Wisconsin Voters for Companion Animals does acknowledge that there are responsible and caring breeders. We invite them to join us in our mission to put an end to cruel, inhumane breeding practices in our state.